The full-featured and cost-effective IP PBX includes all of the components necessary to build a powerful, scalable business phone system. IP PBX is a reliable solution that significantly reduces telephony expenditure and opens up new types of voice connectivity options. IP PBX can be seamlessly integrated with Sales, CRM and ERP systems, providing additional insight into business processes. Every incoming and outgoing call is recorded in your call reports database. Filter and search is available by time and date, source and destination numbers. Every incoming and outgoing call is recorded and stored in your personal web account. Filter and search is available by time and date, source and destination numbers. Professional high-quality music or any other custom massage for callers waiting on hold or in a queue. 3 or 4 digit short number is assigned to every user connected to your PBX. Automatically route calls to the group of extensions or departments callers want to reach. Easily forward all calls to your cell phone, home phone or any other local or international number. When busy, when the call is not answered for specified seconds and when call fails. Also you can unconditionally forward all incoming calls to desired number. Create your own customized rules. Route incoming calls automatically to the location or department they want to reach with menus and an automated receptionist. 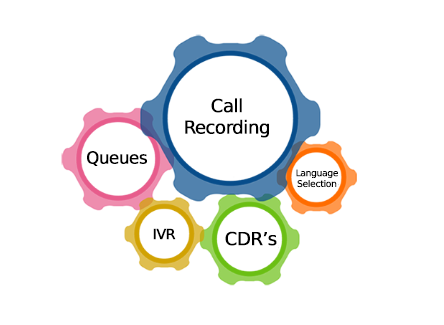 Call Queues allow you to route incoming calls to a specific group of phone numbers. While callers are waiting to be connected, your selected Hold Music will be played. 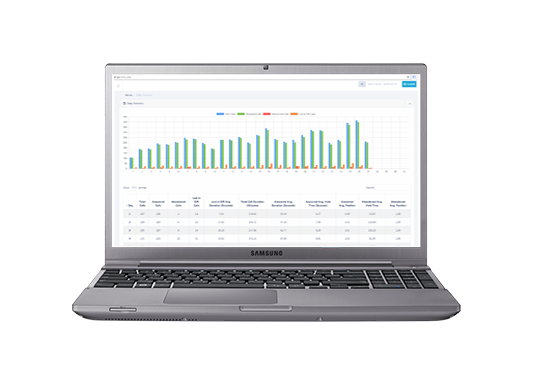 The panel lets you see detailed PBX activity, like who is talking and to whom, call durations, held calls, queued calls, etc. It lets you control your phone and perform transfers, launch call spying and whisper, monitor queue activity and more. All from your web browser, without the need to install anything on the client side. Interactive Voice Response menu is the initial audio greeting telling callers which key to press to reach your phones, groups or voicemail ("Press 1 for sales..."). Set up your menu with a customized recording giving important information such as business hours, company directory and any other important instructions.